This is another of what I refer to as a concept style of recipe. 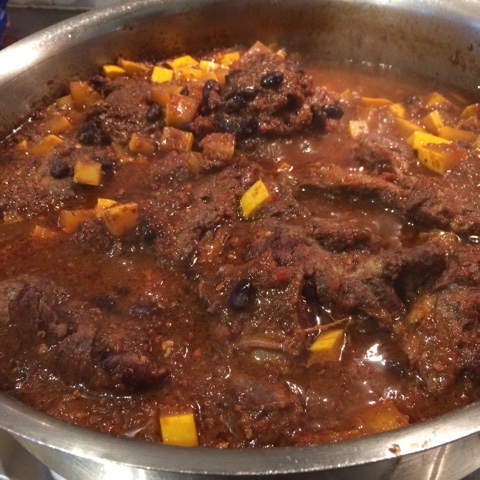 I usually make this with meaty beef spare ribs, shin or large pieces of braising beef, however, a of lamb boned and cut into large pieces or shanks are also very good. Pork and chicken can also be used, although the cooking time may need to be reduced. The sauce is made with fresh tomatoes, however canned can be substituted. Chipotle chillies are dried and have a rich smoky flavour. The chillies need to be soaked. I buy dried black beans. Soak them overnight and then rinse and cook in fresh water until tender. This will take two hours. I tend to cook a lot and then freeze containers for use another time. Black beans can be purchased canned or you could substitute kidney beans. 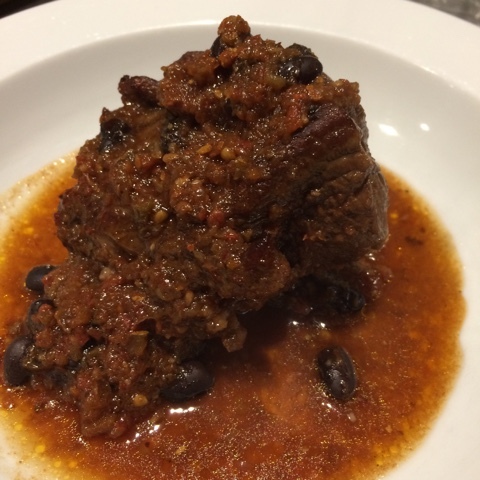 Long slow cooking ( or a pressure cooker) is essential for this dish. 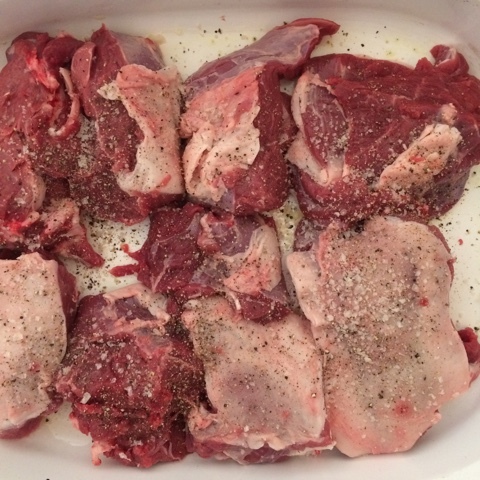 Place meat in a large casserole dish and season the meat with salt and pepper. 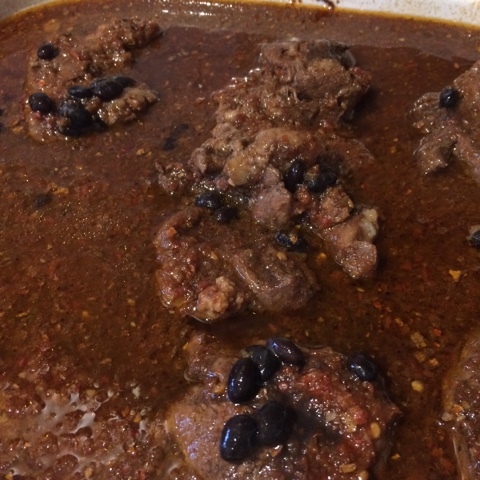 Purée the tomatoes, garlic and soaked chillies together and pour the sauce over the meat. 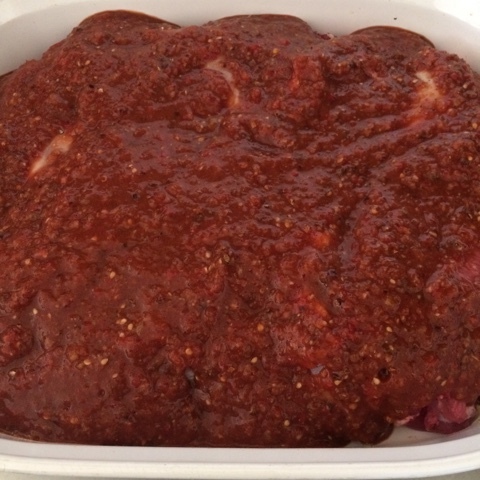 It can be left to marinate overnight, however, cover and refrigerate. Cover with foil and place in a 140 degree C oven. Cook for at least an hour. Remove foil. Taste sauce and add a little chilli if you want a spicier dish. It reheats well and can be extended with some vegetables, this version has some diced yellow zucchini.